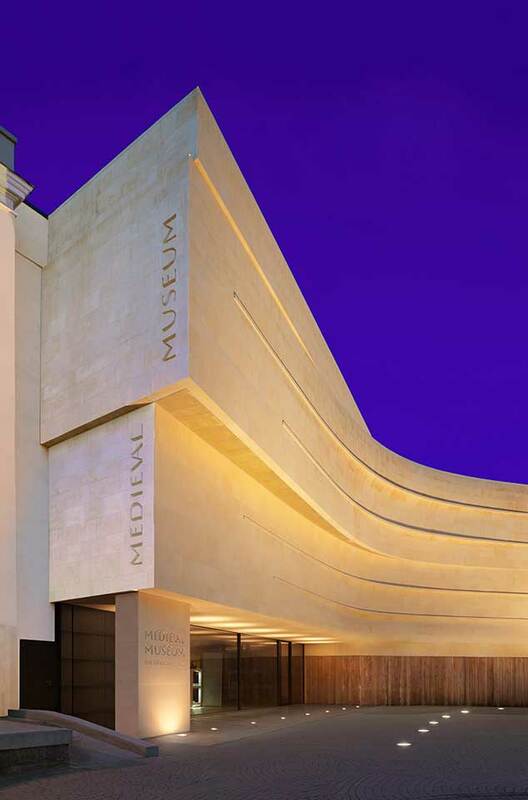 In 2012/13, we were two of the three architects on the Waterford City & County Council team responsible for the design of the Waterford Medieval Museum. To date, the building has received seven national and international architecture awards and we are very happy that we could took a part in this project. 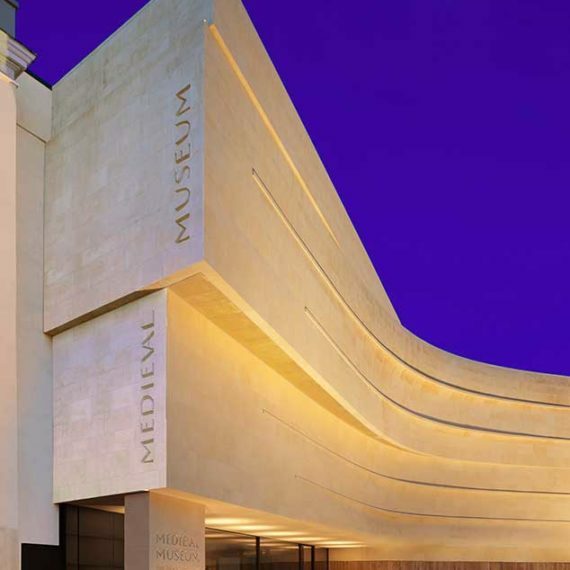 Designed by Waterford City Council Architects, Rupert Maddock, Bartosz Rojowski and Agnieszka Rojowska, Waterford Medieval Museum is an architectural landmark and major visitor destination in the Southeast of Ireland. Its location in the heart of Waterford’s Viking Triangle. A diverse range of medieval, 18th, 19th and 20th century buildings constrain the site boundaries to a U-shape with the open end facing directly onto eastern façade of Christ Church Cathedral. 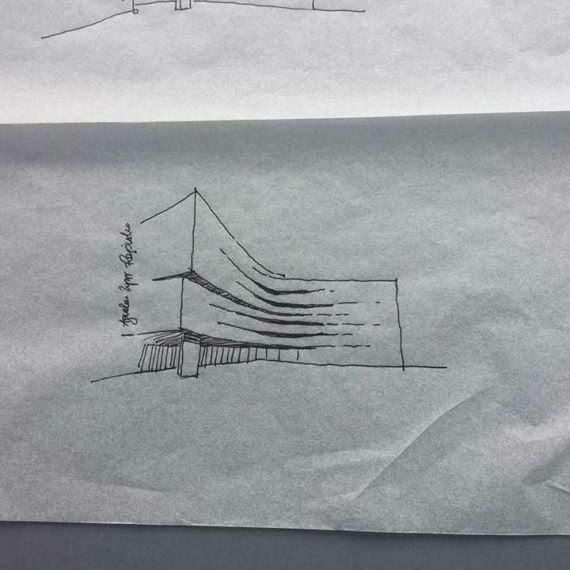 The objective was to design a building that would strengthen the characteristic of the historic tissue while, at the same time, creating something new and contrasting with the existing architecture. The front façade is designed in a semi-circular, streamlined form, which is ‘wrapped around’ the back of the Neo Classical Cathedral, creating a link between the two beautiful squares on each side. The warm Dundry facing stone follows from its use in the original medieval Cathedral and Choristers’ Hall and provides a break from the cool crisp 18th century surrounding structures. The curved façade is like a big jigsaw – no two stones are the same, each one is unique and individual. More than a façade of a building, it is a large-scale architectural sculpture. There is an emphasis on the two gables, both visible from surrounding squares. A six metre high figure – ‘The Waterford Lady’ sculpted on west gable is based on a tiny 13th century belt mount found during the archaeological excavations on site. At the approach to main entrance, glass vision panels provide views to the carefully conserved Choristers’ Hall below. The entire width of recessed glazing that slides apart allows the interior of the ground floor to be open onto Cathedral Square and the border between the inside and outside disappears. One of the design challenges was to incorporate the medieval structure of Choristers’ Hall located below ground level into the new building. 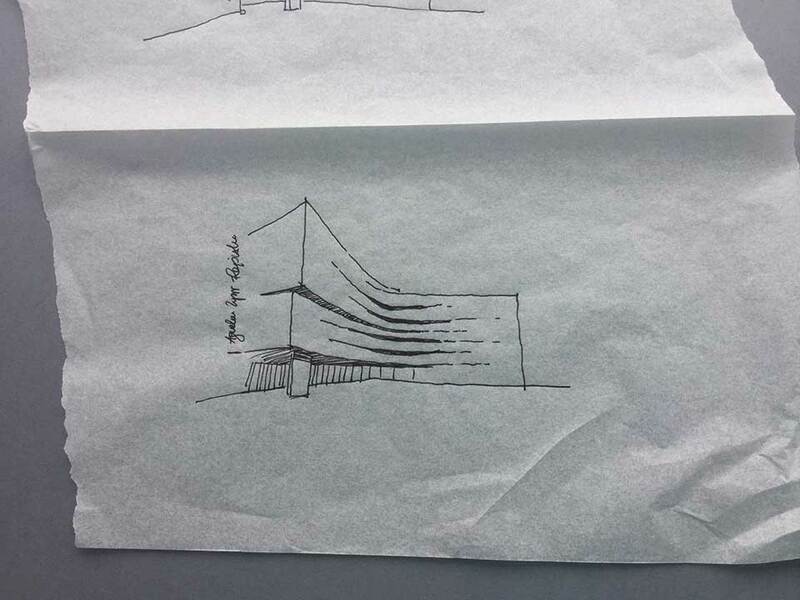 Internal layout was strongly influenced by the shape of the site and adjoining buildings. There are four levels to the building: two levels over ground floor consisting of exhibition galleries and audio visual theatres, the lower ground floor level is a multifunctional space and provides direct access to the Choristers’ Hall. The ground floor incorporates the entrance lobby, museum shop and reception. The structure is designed entirely as cast in situ concrete. The material palette was restricted to concrete, Irish pippy oak, heather Welsh slate and the mentioned Dundry stone for the facade. Up to date the building received seven architecture awards (link) including shortlisting to the semi-finals of the most prestigious from them all Mies van der Rohe architecture Award.